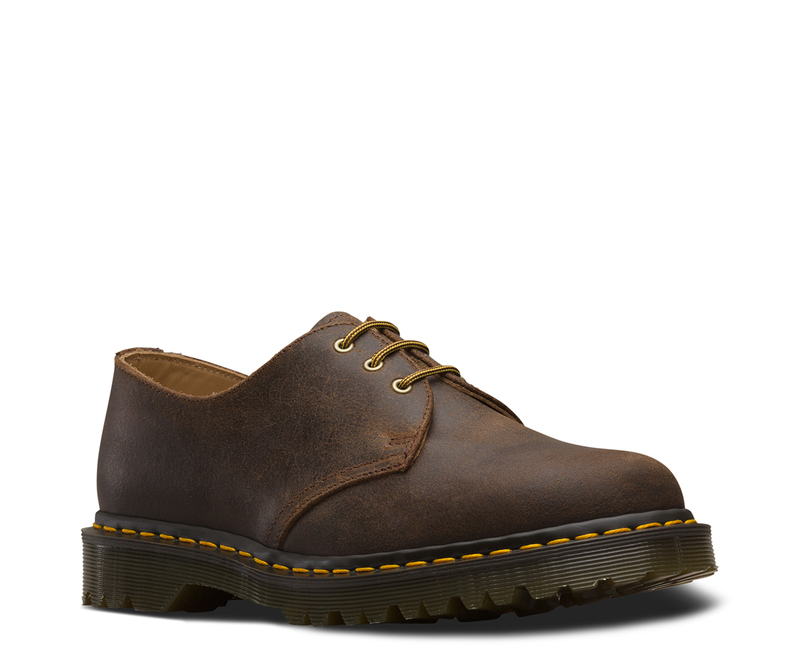 This 1461 is a Made in England style, hand-crafted by our Cobbs Lane factory in Wollaston, Northamptonshire, England. 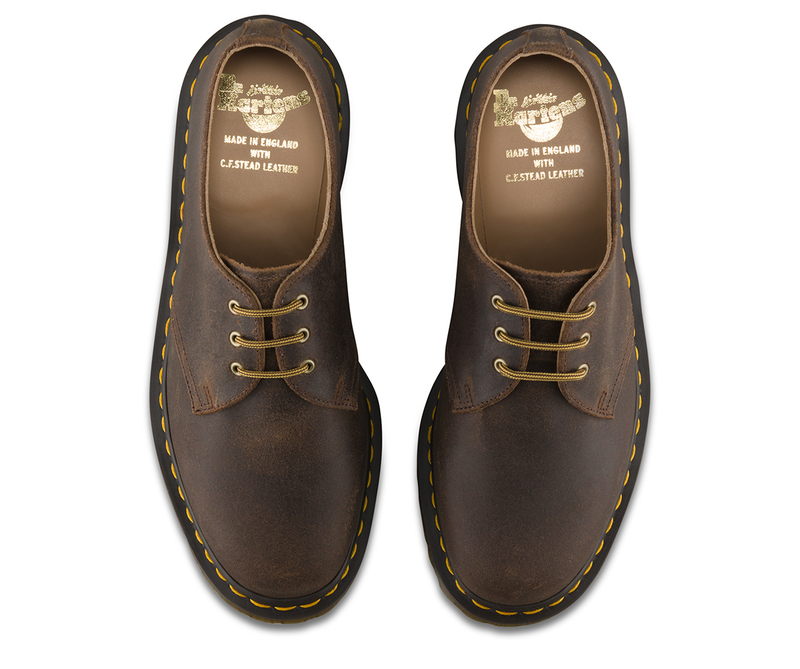 Considered details, like antiqued eyelets, a stamped leather tag, striped hiker laces, and premium C.F. 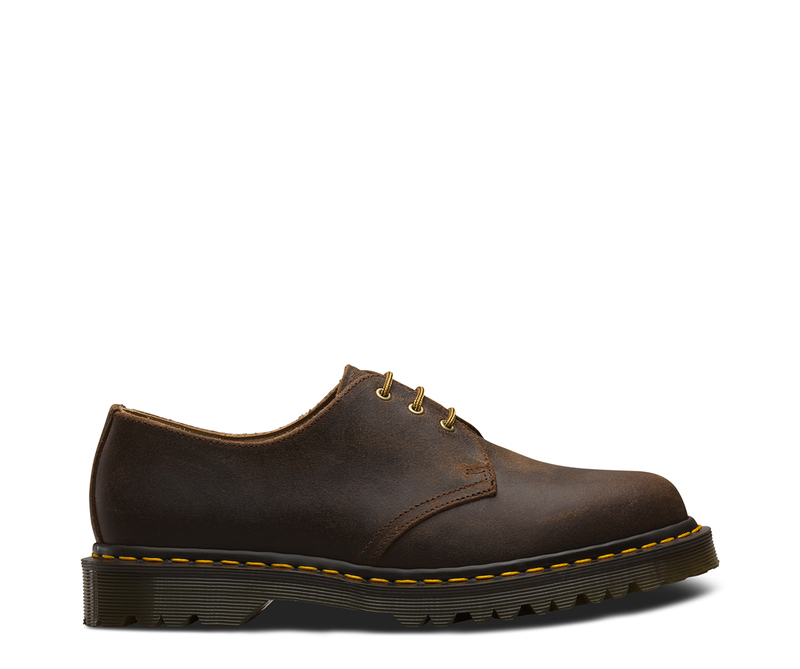 Stead leather, bring a high-fashion feel to the style of our 3-eye silhouette. 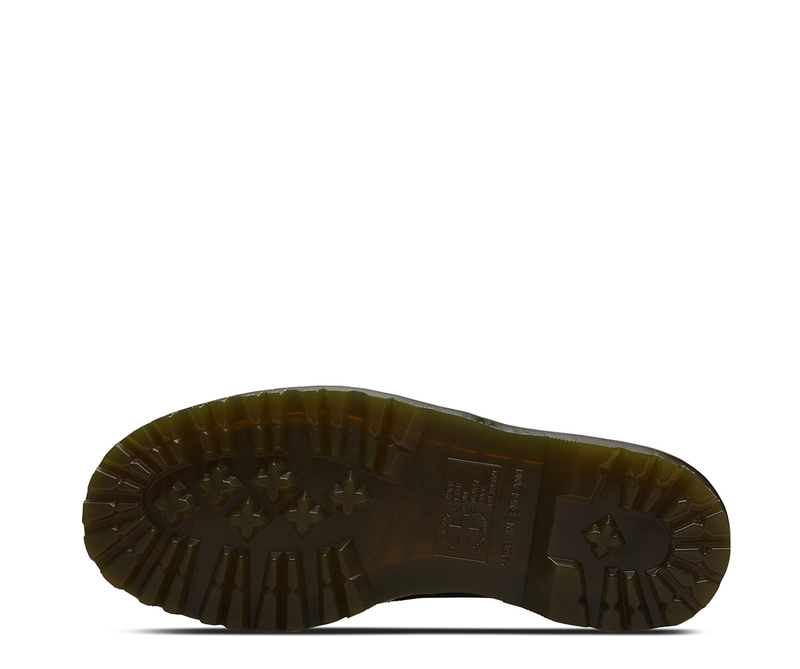 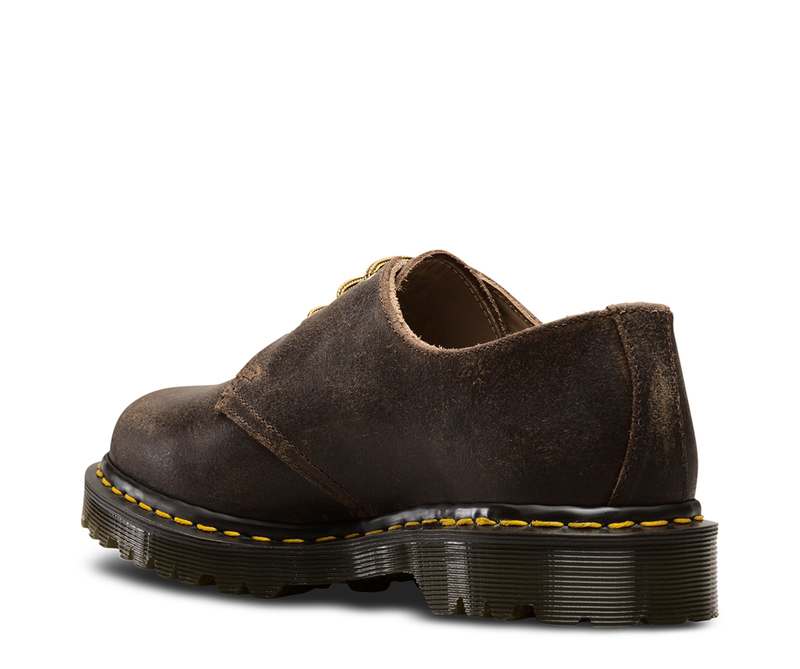 Retains classic Docs DNA, with yellow welt stitching and grooved sides.